There is 5 additional images available. Custom build, please allow 3 to 5 weeks for delivery. Times may also vary based on current orders. 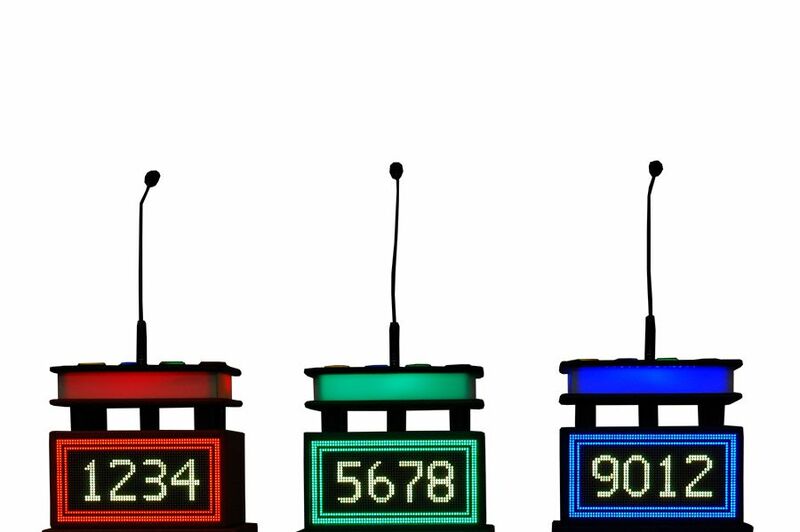 New Look, New Colors, New Scoring! 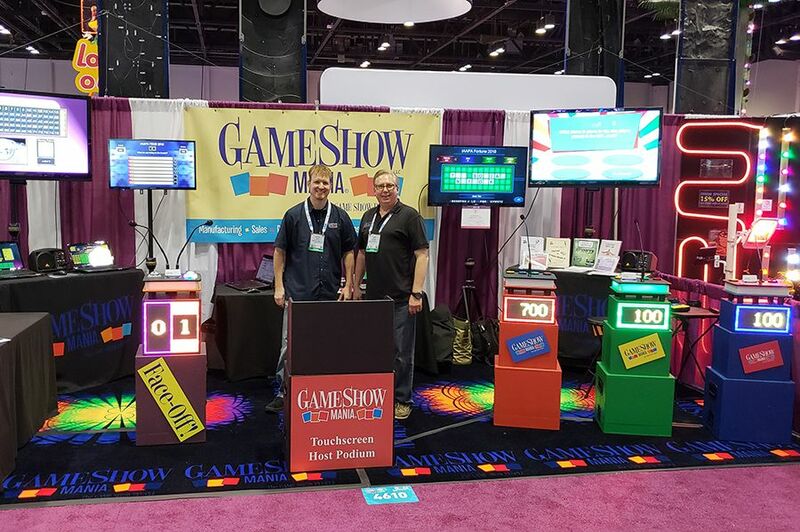 The GSS-7 is the newest system in the Game Show Mania catalog. 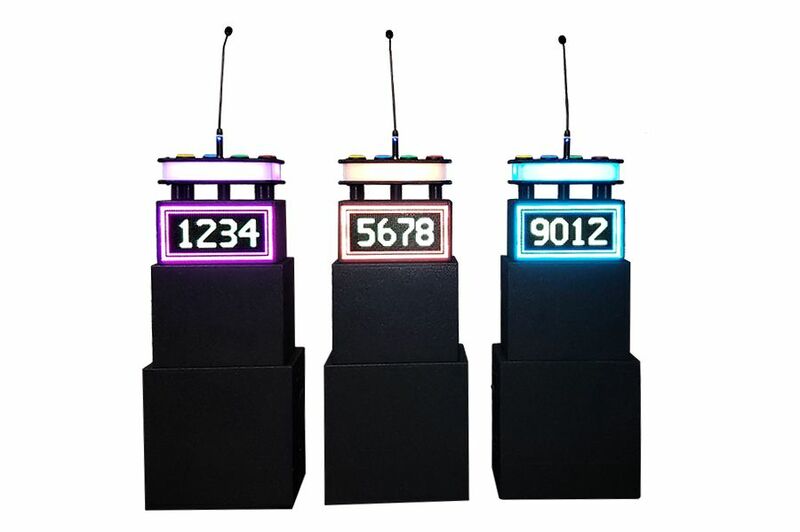 We are offering multiple colors in a durable rubberized coating, 3 and 4 digit scoring, 16 different LED colors and the same reliable circuitry we have become notorious for. 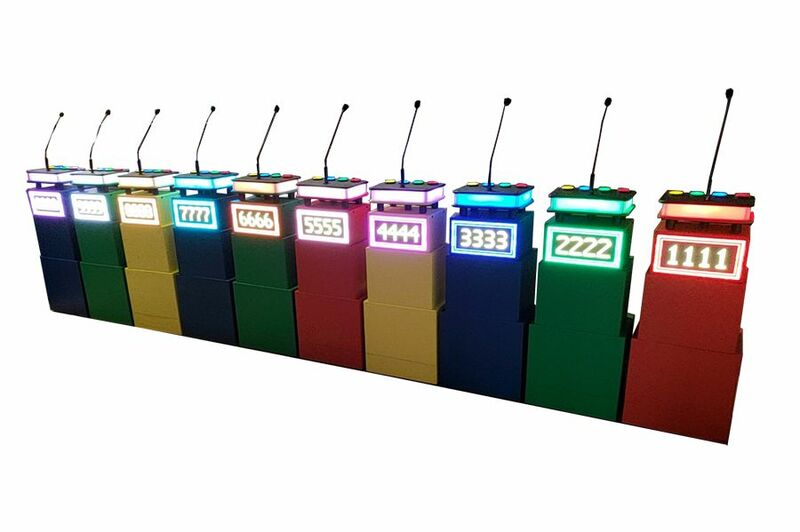 Each podium can be stacked to height or you can simply use just the top piece as a compact version. The top portion is equipped with rubber feet that will fit right into the middle section of the podium to further sturdy the equipment when stacked. 3 podiums come standard in this package. 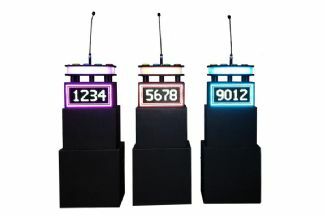 Can purchase additional podiums separately. 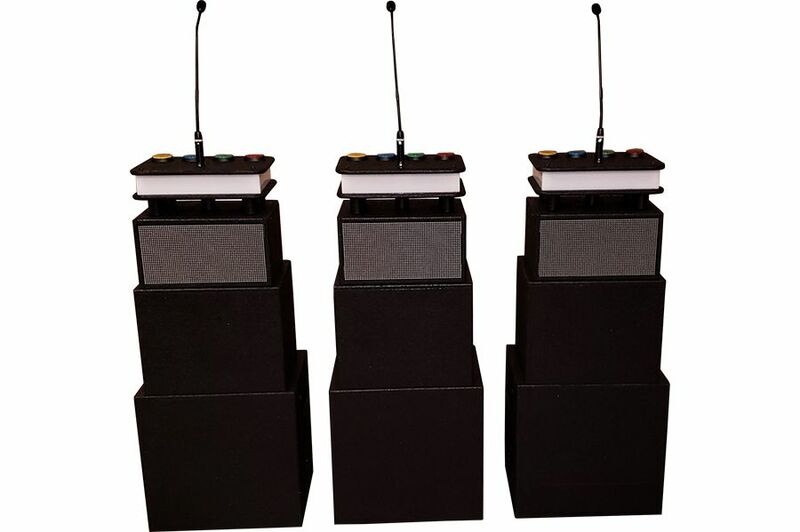 Top Podium (Compact): Length: 10" x Width: 13.75" x Height: 12.50"
Top Podium (Stacked): Length: 10" x Width: 13.75 x Height: 12"
Road Case: Length: 13.625" x Width: 17.375" x Height: 16.9375"